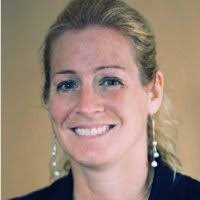 Stephanie Colbry is an assistant teaching professor and faculty lead for the Bachelor of Science in Leadership program. She has more than 15 years of experience providing consulting services in change management, business process improvement, facilitation, financial management, and leadership coaching. Dr. Colbry has worked with several large nonprofit organizations and universities. For the past nine years, Dr. Colbry has also taught and directed programs in leadership, business, and finance. At Northeastern, she will provide oversight for curriculum and best teaching practices, engage in faculty recruitment and development, and work to integrate experiential learning into the Leadership programs. Dr. Colbry’s current research emphasis is on collaborative leadership practices focused on sustainable leadership transformation within global conflict regions. She has developed and expanded a tool to understand what a dynamic relationship is and how effective relationships occur within high-risk environments to promote governance and public policy changes in conflict regions.